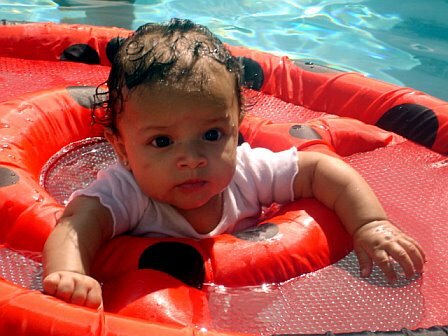 My daughter has been a lil' swimmer from 3 months old. 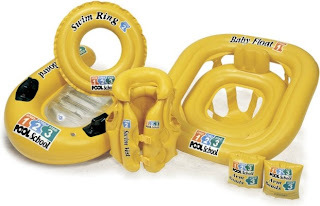 I posted about the perfect float back then, 'For Baby ... Baby Spring Float'. Here's what going to the beach now looks like. We have to constantly hold her. She does not like stones beneath her feet. Lately, at 18 months ... she feels she's outgrown the Baby Spring Float. She is ready to swim! 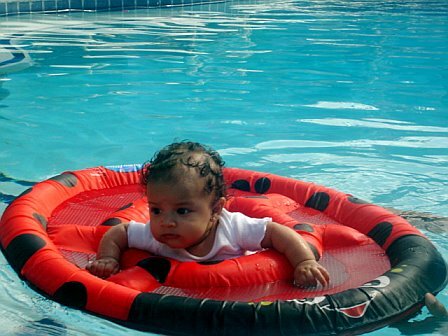 She will have to wait months until the summer months when I can register her in baby swimming classes. 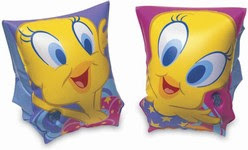 I ordered these 2 products in the hope that it will be a steady progressive swim trainer.